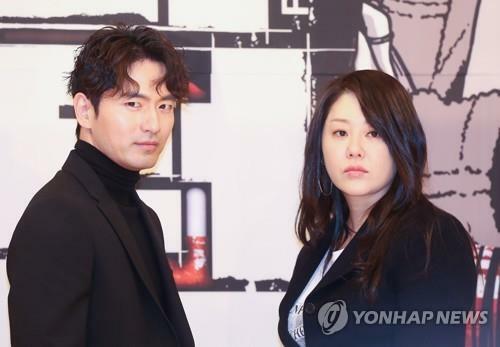 SEOUL, Feb. 8 (Yonhap) — Go Hyun-jung is being removed from the TV series “Return” on SBS amid conflicts between the actress and the production team, her agency said Thursday. The agency emphasized that it is not her decision to leave the drama but that she was “notified by SBS” to drop out. “We sincerely apologize that she failed to fulfill her responsibility as a main cast and offer our apology to the production team and other actors,” it said. She is “in great agony” as it was “unimaginable for her to drop out in the middle of production,” he added. According to industry sources, she frequently argued with the producer and recently assaulted him. The shooting was forced to stop when the actress abruptly left the set Monday after quarrels with the production team. Premiered Jan. 17, the murder-mystery thriller is gaining popularity, with the viewership ratings recently hitting 15 percent. But rumors surfaced that Go openly expressed dissatisfaction over her smaller-than-expected role in the drama. SBS said it will look for a replacement and modify the script in the coming weeks. She has a reputation of being quite vocal about her opinion. When she was shooting “Queen Seondeok of Silla,” she abruptly left the set in protest because MBC didn’t allow her manager to enter the filming studio.